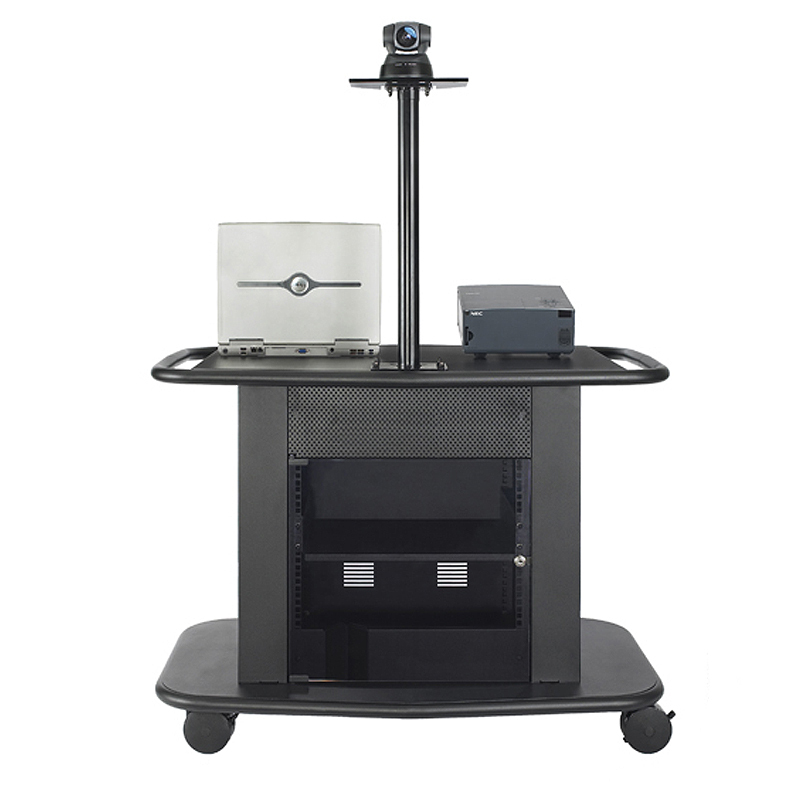 More on the AVTEQ Learning Series Rack Mount Overhead Projector Cart (Black) GM-200P below. 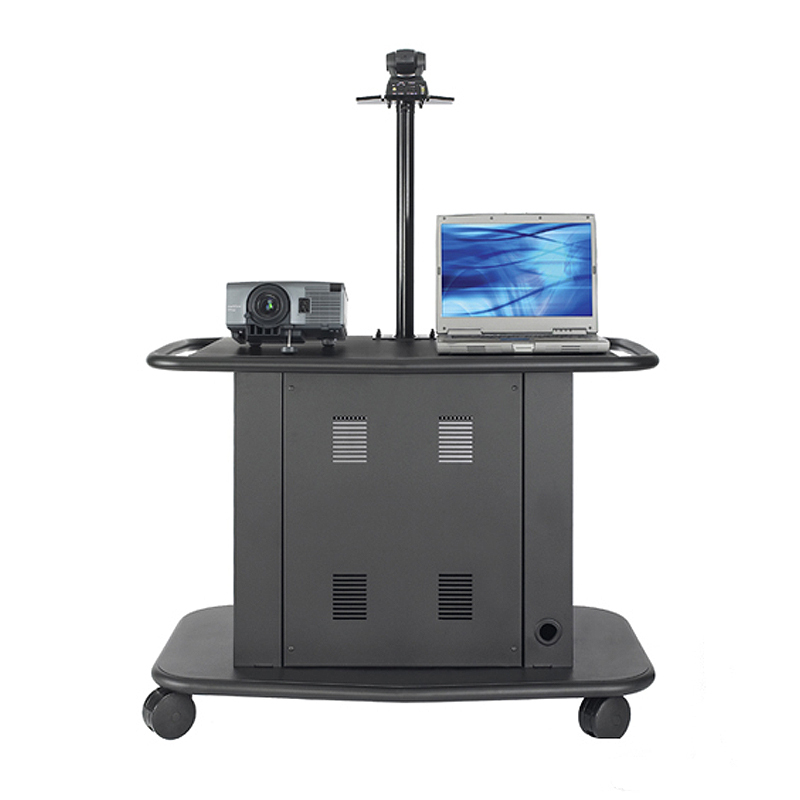 A feature-rich, user-friendly, multi-purpose design. Standard 19" front and rear rack mount brackets with 10RUs of usable space. One adjustable/removable, rack-mounted, interiror shelf. Tinted, locking, tempered glass front door. Included 6-port APC surge protector / power module and AVTEQ's APA adjustable-height camera stand, elevating your video-conferencing camera to the perfect height. AVTEQ's PSM-100 rack-mounted audio module (PSM-100) for optimum sound quality. Standard 4" double-truck, ball-bearing casters (2 with brakes) for easy and stable mobility on hard or carpeted flooring. Rack to Glass Door: 1 7/8"